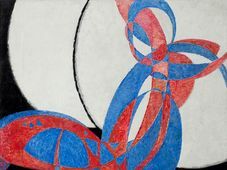 Experts predicted that a new record could be set on Sunday when a work by the Czech-born abstract artist Frantisek Kupka was going under the hammer in Prague. 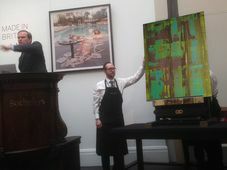 They were right: the oil on canvas was sold to an anonymous bidder for 13.4 million crowns (around 642,500 dollars), a price that would have been unthinkable on the Czech market a decade ago. 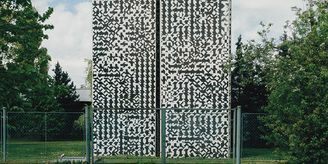 Jiri Rybar, photo: CTK Bidder number 31 bought the work "Abstraktni kompozice" or Abstract Composition" on Sunday, breaking the Czech Republic's auction record for a work by a Czech painter. 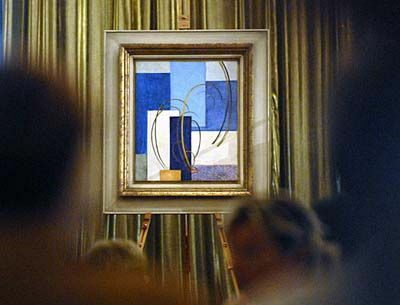 Even the starting price for the oil on canvas was unusually high at 8.5 million crowns. The owner of the auction house Jiri Rybar says he was optimistic from the very start. "I had an independent assessment made by an expert on the international market and he estimated it at roughly the final price. He also said that within five years or earlier it will be worth a million dollars." 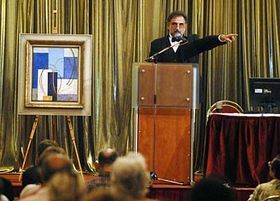 Photo: CTK The previous record for a Czech painting auctioned locally was set last year when a collector paid 9.3 million crowns for a work by Josef Capek, brother of the famous writer Karel Capek. 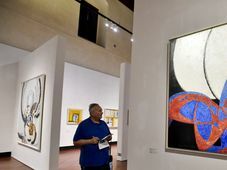 Due to property returns after 1989, all of a sudden many works of art were up for sale in the 1990s, but the purchasing power in the country was still small. The first time that a work of art was sold at auction in the Czech Republic for a price over a million crowns was in 1997. 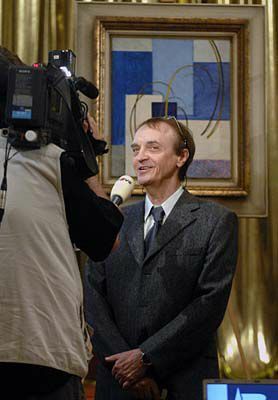 According to experts, it was former TV magnate and current Czech MEP Vladimir Zelezny who, as a keen collector, added fresh momentum to the art market. When he retreated a few years ago, the market went down for a while. Frantisek Kupka's 'Abstract Composition', photo: CTK Frantisek Kupka's "Abstract Composition" was first owned by industrialist and collector Jindrich Waldes who bought it straight from the artist in Paris and had it displayed in his Prague home until 1938 when the family took the painting to the United States when fleeing from the Nazis. It changed owners a few times afterwards. 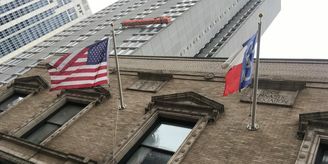 Now it has been bought by a private Czech collector, reportedly a well-known personality who wishes to remain anonymous. Before Sunday's auction, works by Frantisek Kupka, who was born in 1871 in the east Bohemian town of Opocno but spent most of his life in France, never exceeded 5 million crowns at Czech auctions.